The reinsurance industry faces an unprecedented number of challenges. The frequency and severity of man-made and natural catastrophes are increasing. In addition, reinsurers are faced with new regulatory issues (e.g., Solvency II), a continuing global soft market and legacy issues, such as exposure to mold and asbestos claims. To combat these challenges, reinsurers are turning to technology for catastrophe modeling, data analytics and geographic information systems (GIS) to better understand the data and their risk exposure. 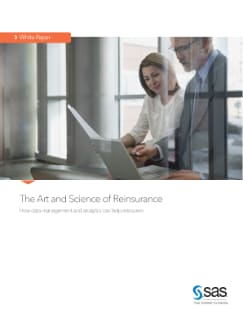 This white paper will explain how reinsurers can gain a competitive advantage by using data management and analytics.